It’s Anti-Bullying Week from 14th-18th November 2016. Bullying is something we often associate with school and growing up. As a child or teenager, it’s very likely that either you were bullied, or you knew somebody else that was. Young Minds state that ‘as many as 70% of all young people have experienced some form of bullying’. The sad fact is that, as we grow up, bullying still remains – at university, in the workplace, at home, in relationships or friendship groups – and sometimes we aren’t even aware what is happening or of the effect it’s having on us. It may be that you find that when you are with certain people you always feel down. Perhaps they are making fun of you or saying horrible things, perhaps you feel excluded and left out or it could be that you are being threatened – ‘if you don’t come over, I’ll post this photo of you on social media’. Alternatively, bullying can be physical. Is someone being violent towards you? Pushing, pinching, and punching you? Bullying can occur because of a specific target. So, for example, someone may bully you if you are a different sexual orientation to them, because of your ethnic origin or because of your size. Anyone can be bullied and, sometimes, there is no reason at all. The bottom line is – it is not your fault. Watch this video to see how bullying can affect anyone, at any stage of life. Counselling Directory surveyed 1300 members of the UK public and more than 500 professional counsellors to find out the facts on how many people are bullied. Click on the image below for more information. Being bullied can affect our mental health. We can internalise how we are treated by others and think it is our own fault: ‘I should’ve done this’, ‘why don’t they like me?’ or ‘perhaps if I do this…’ Hearing criticism from others can affect our self-worth and cause our own self-critical and negative thoughts. It can be hard to avoid harsh words – we take them on board, believing their words to be true and so we can start thinking negatively about ourselves. Negative thoughts lead us to feel negative emotions such as sad, anxious, helpless, and overwhelmed, which can then affect how we behave. For example, we might want to stay in a lot more and be on our own as this feels safe but actually it can leave us feeling more isolated, alone and unloved. 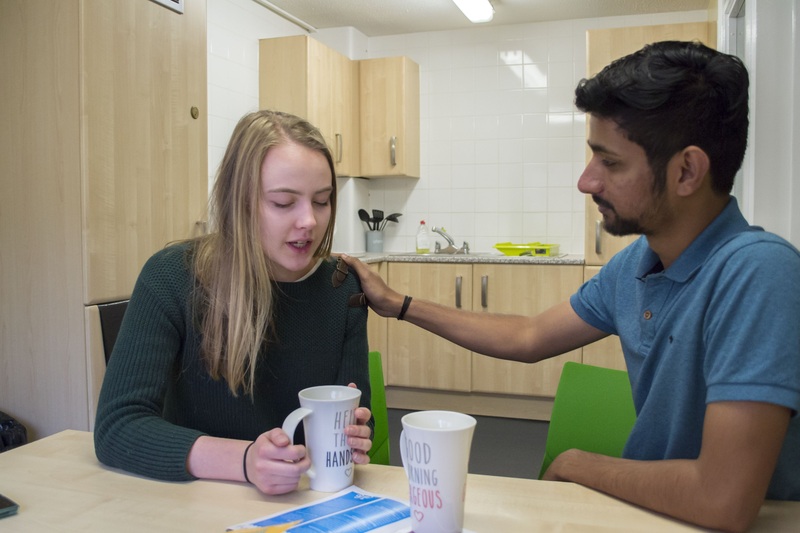 Talk to somebody you can trust – it could be a friend, family member, tutor/supervisor or a counsellor at the Counselling, Health and Wellbeing Service. Write down what happened, when it happened, and who was involved. If the bullying is online, keep the evidence – save or copy any photos, videos, texts, e-mails or posts. Be kind to yourself, and do things that make you feel good, relax and make new friends. You might make music; write lyrics; draw cartoons; dance; act or join a sports club. What can I do if my friend is being bullied? Listen to your friend and show them that you care. Give them time and space to talk through what is happening and how they are feeling without asking too many questions or passing judgement. Let them know that this isn’t their fault. If you can, try and include your friend in your own social groups to increase their confidence. If you see your friend being bullied, and if it is safe to do so, say something to stick up for them such as ‘what you said just then wasn’t kind or helpful and it could hurt someone’s feelings’. Only do this if you are sure that the situation won’t become worse and that you or your friend won’t be in more danger by doing so. For more information about bullying and what to do if you are being bullied at University, please visit the Counselling Directory. Rachel, Wellbeing Practitioner, Counselling, Health and Wellbeing Team.